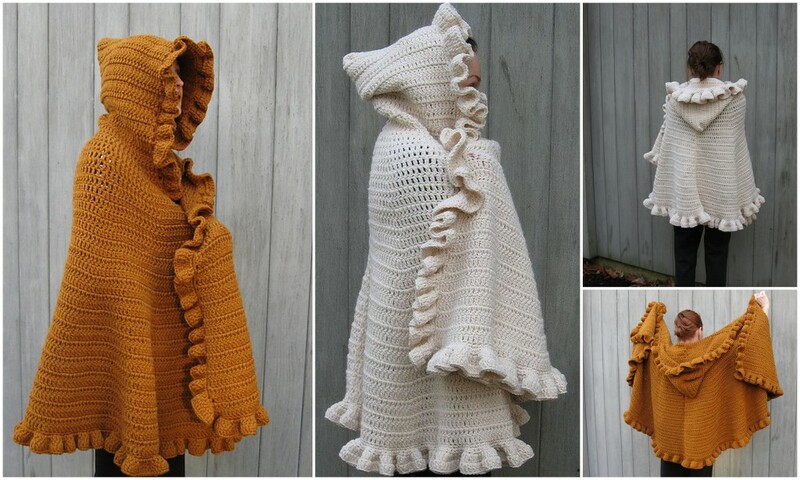 Today we presents you another beautiful crochet project – ruffled shawl with hood.This shawl looks really gorgeous and very original ,it’s also very comfortable and it’s perfect for every season. You just need to choose your favourite colors , you can see looks for different colors on the pictures, so you just need to choose your favourite one and follow the link below under the text line ,where you can find the free crochet pattern for this amazing shawl. This pattern wil make your job more easier and will be very useful , we hope this post will be inspiring and helpful ,enjoy!